﻿ What is Proof of Insurance & is Electronic Proof Legal in Your State? Home Auto Insurance Auto Insurance Coverage What is Proof of Insurance? Can You Show Proof of Insurance on Your Phone? It’s not enough to just say you have car insurance. You’re going to have to prove it. Proof of insurance is absolutely essential when you get into an accident; when you need to register your car (in many states); when you’re buying or leasing a car; when you get pulled over; and in other situations. 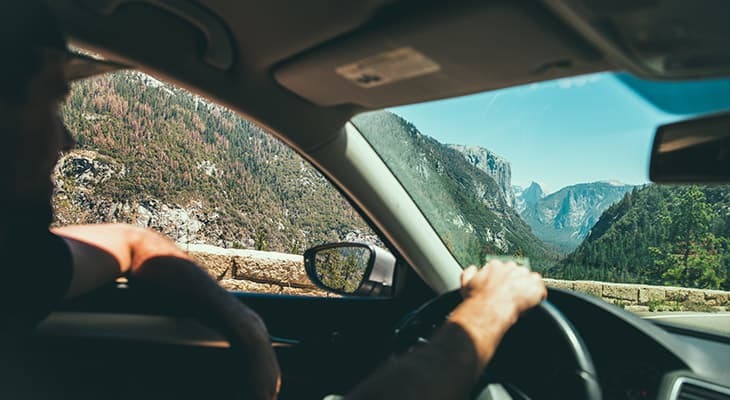 We’ll tell you everything you need to know about proof of auto insurance, as well as what happens when you don’t have it. Not insured yet? With Compare.com, you can shop for car insurance from multiple companies at one time, find the lowest quote and buy a policy, all in a matter of minutes. Proof of insurance is the documentation that shows you’re covered by an auto liability policy that meets your state’s minimum requirements. Your proof may be the little card your insurance company sends you, or a printout, or a screen you show on your phone. It can even be an “insurance binder,” which is not a three-ring notebook but a temporary document that shows you’ve purchased a policy and are waiting to get your official proof of insurance. Is Electronic Proof of Insurance Legal in My State? If you do live in one of the states that allows mobile proof of insurance, then you should download your insurance company’s app right now. Then, make sure you know how to access your policy info quickly. If you get pulled over, you don’t want to spend five minutes fiddling with your phone, trying to remember your password while the state trooper’s waiting at your window. Some auto insurance apps enable quick login with fingerprint or face recognition, which might make your life easier. Others let you download your proof of insurance to keep on your phone. The top car insurance companies all have robust apps that let you show proof of insurance and access other benefits, like roadside assistance. For smaller insurers, you should check the reviews before downloading. Some have buggy apps that don’t work reliably, which means you should also carry physical proof of insurance. What happens if you don’t have proof of insurance — but you are insured? Maybe you lost your insurance card. Or you stashed it in your glove compartment — and then you got pulled over while driving your mom’s car. Or your phone died. Or you forgot your phone. There are dozens of reasons you might not have your proof of auto insurance when you need it. So, what happens then? It depends on local laws, but usually, the police officer will write you a ticket for not having proof of insurance. You should plan to contest the ticket, either by mailing in a copy of your proof of insurance or by showing up for your court hearing with proof that you did have insurance on the date in question. The charges should be dropped, although you might have to pay a fine or court costs. If you get a ticket for failing to provide proof of insurance, don’t forget to respond! Not only can the fines be steep (we’re talking hundreds of dollars), but in some states, your license and registration can be suspended or revoked if you don’t prove you have insurance within a specified time frame. What if you do have proof of insurance, but your insurance has lapsed? Here’s a common scenario: You purchase a six-month insurance policy. But you can’t afford the premiums, so the company cancels your policy. Your insurance ID card, however, still says you’re covered through the end of the year. So, are you cool? Nope. Many states use an electronic insurance verification system, such as the Georgia Electronic Insurance Compliance System (GEICS), to catch uninsured drivers. This means they’ll run your name through their database, and if your car registration doesn’t match a current insurance policy, they’ll send you a warning and may charge you fines or fees. It could take the state a few months to find out that you don’t have insurance, so you might be tempted to let it slide. Don’t! When you let your insurance lapse — even if it’s just for one day — you’ll end up paying higher rates in the future. What Happens if You’re Driving Without Insurance? If you don’t have car insurance, you’re not supposed to be driving, period. The penalties for driving without insurance vary by state but can include fines, the loss or suspension of your license and registration, vehicle impoundment and even jail time. Needless to say, these are not good things. Find out what happens if you’re caught driving without insurance in your state. If you’re caught without car insurance, the first thing you need to do is get insured. Compare.com can help! Find your cheapest car insurance options by comparing quotes from different insurers in your state. When you spot the best deal, just click to buy. In just minutes, you’ll have the coverage you need!